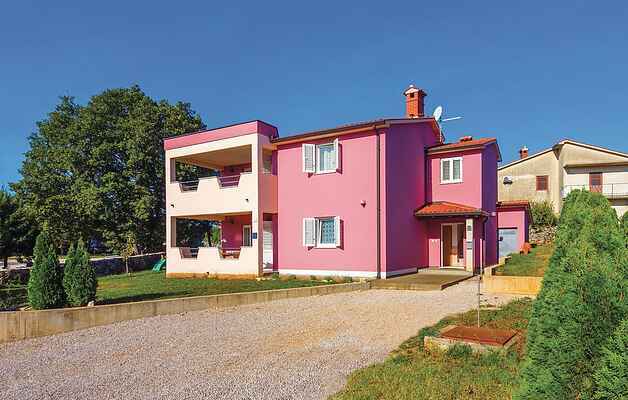 This beautifully furnished holiday home is located in the small village of Vinez, not far from the town of Labin and only 15 minutes by car away from the tourist resort of Rabac, with its beautiful beaches and crystal clear sea. It consists of two separate living units, one on the ground floor and the other on the first floor, which are connected by internal stairs. Each unit consists of two bedrooms, bathroom, kitchen with living room and a covered terrace where you can relax on warm summer evenings with your favorite drink. Visit the town of Labin with many events during the summer months.